The institute tries to imbibe social responsibilities amongst the students through Institutional Social Responsibility (ISR). Every year, the rural area schools are visited by the students and faculties of the institution to create computer awareness and interact with them regarding the role of IT in today's world. 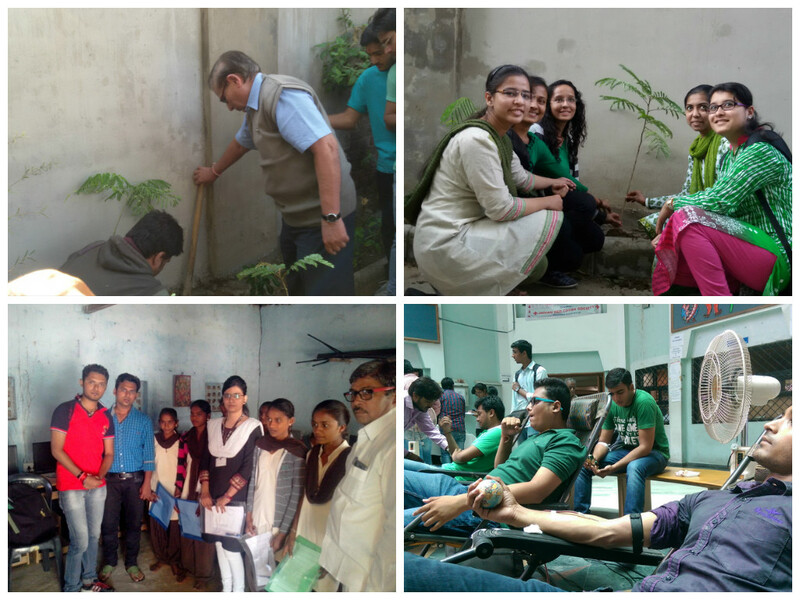 Various other activities like Blood Donation Camp, Thalassemia Camp, Tree Plantation Drive, Visit to Old Age Home and Orpanage, etc. are organized enthusiastically by the students. As a part of Swachhta Abhiyan initiated by Government of India, the institute organize events like Swachhta Rally, cleanliness drive, cleaning of streets of the city and encouraging students to keep the campus and its surroundings clean. FCAIT, GLS University. All rights reserved.